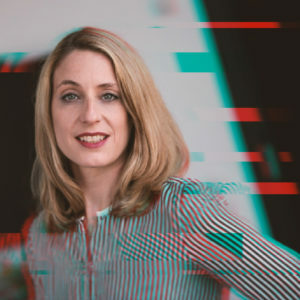 At our Digital Transformation Forum, you can learn more about the successful investment deals Jeannette zu Fürstenberg signed for La Famiglia VC in 2018. Founded in 2016, the first fund of La Famiglia is backed by German champions like Miele, Viessmann, Siemens, Fürstenberg and Conrad as well as international family-owned companies such as Swarovski and Solvay among serial entrepreneurs and business angels such as the founders of Auto-1 Group, Amorelie, HeyHoney and Zooplus. In contrast to many other funds, La Famiglia is specifically focusing on finding synergies between startups and other strategic partners: „The special thing about our fund is that perhaps for the first time in Germany, we have created a bridge between the world of startups and established German mid-sized companies, which are often built around outstanding engineering capabilities. In the field of industrial automation, in particular, European companies still have a great opportunity to drive development. We have clear locational advantages here”, so Jeannette zu Fürstenberg. She and her co-founder Robert Lacher have for sure inside-knowledge: Jeannette zu Fürstenberg owns Krohne Messtechnik and Robert Lacher’s family company Singulus builds machines for economic and resource-efficient production processes. With the first fund, the team around Jeannette zu Fürstenberg will invest up to six-figure tickets in 35 companies. More than 20 startups are part of the portfolio already. But there is still hope for young entrepreneurs that might not be ready to pitch to investors yet: In 2019 the group of investors will set up a second fund! In 2015, Christian joined e.ventures, founded in 1997 as BV Capital and later renamed it to e.ventures. With more than 160 investments in seed- and series A-stage startups, e.ventures has many successful startup brands in its portfolio. And the globally active venture capital fund with offices in four continents is having an amazing track record! 30+ portfolio companies have exited successfully already. The experienced team invests in sectors that range from Adtech to Fintech, Media, Commerce, Mobile to Enterprise Software. If you want to meet Christian, get your ticket for Hinterland of Things and sign up for our matchmaking. We will coordinate 15-min sessions with selected investors and Christian Miele is for sure part of it! Jan Beckers is a serial entrepreneur-turned investor and company builder. The 35-year-oldfounded more than 25 companies – the first one being as a student in Münster. 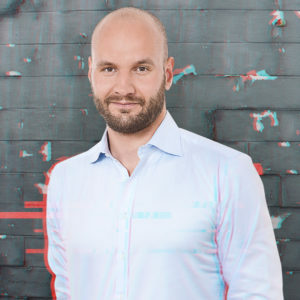 In Berlin, he kicked off three company builders: Hitfox, Finleap as well as Heartbeat Labs. 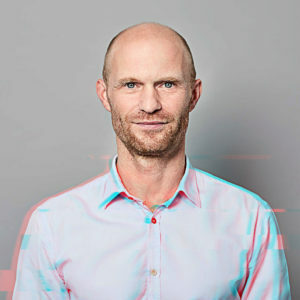 Years ago, he invested in companies such as Delivery Hero and HeyJobs atan early stage. In 2014, he won the EY Entrepreneur of the Year Awards for Germany. His most recent platform Heartbeat Labs builds, invests and partners with companies to make healthcare more accessible, more efficient and more effective. More than ten companies are a part of Heartbeat Labs portfolio. In November 2018, Jan Beckers moved into an Executive Chairman position and transferred the operations of Hitfox Group to a new CEO. We are looking forward to hearing, what Jan is up to now! 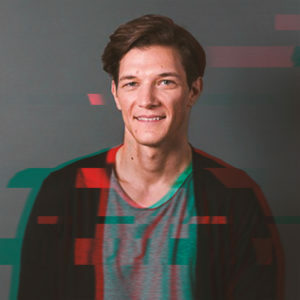 At Hinterland of Things, you will find Jan Beckers on the Startup Stage. At 11:05 am, he will talk about “Starting your own Company – Lessons learned from my first five companies”. For close to five years, Tanja Emmerling has made investment decisions at HighTech Gründerfonds – short HTGF – Germany’s biggest early-stage investment fund. With EUR 892.5 million investment volume in total across three funds and an international network of partners, HTGF has invested in 500 startups since it has been launched in 2005 including well-known brands such as Mister Spex, 6Wunderkinder or Juniqe. HTGF has also sold its shares in more than 90 companies successfully. The three HTGF funds are based on public-private partnerships backed by the Federal Ministry For Economic Affairs and Energy, the KfW Banking Group, and Fraunhofer-Gesellschaft e.V., as well as companies such as Altana, BASF, B.Braun, Robert Bosch, CEWE, Deutsche Post DHL, Dräger, evonik, Haniel, Lanxess, Schufa, Schwarz Gruppe, Stihl & more. Tanja focuses on software, internet/telecommunication technologies, media, e-commerce and blockchain technology. HTGF is specifically looking for early-stage startups with a dedicated tech solution. At Hinterland of Things, Tanja will switch roles and walk in the shoes of startup founders. Join her Reverse Pitch Session happening on Startup Stage at 12:30 pm, where Tanja will pitch HTGF startup-style to answer the question “What is the real value in VC?”. PS: Also check out the tips from jury member Carsten Janetzky for successful pitching. „We are Founders first and Investors Second” – so is the credo of Cherry Ventures. The venture capital firm focusses on seed stage companies and invests across Europe. The portfolio entails success stories such as InFarm and Freighthub, Flixbus or Morressier. Cherry Ventures has supported more than 40 Europe-based startups already. The recent fund which has a volume of EUR 150 million, was launched in 2016 and is a Limited Partner (LP) fund with a limited number of funding partners such Haniel, ProSiebenSat.1, the European Investment Fond & other well-known serial entrepreneurs. 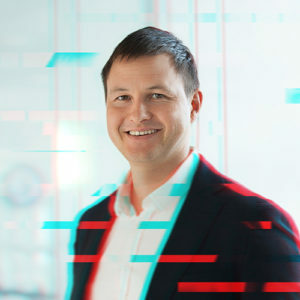 At Hinterland of Things, Thomas will relive his startup times – prior to Cherry, Thomas was an entrepreneur building Bonusbox, an e-commerce data and loyalty network. 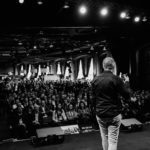 Watch him pitch Cherry Ventures to all the young founders in the Reverse Pitch session together with Tanja Emmerling and Rouven Dresselhaus. Save the Date: 12:30 pm, Startup Stage! 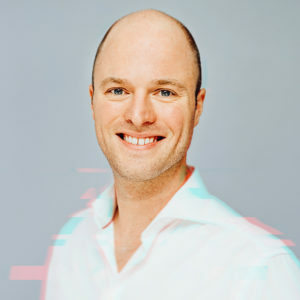 Thies Sander is a founding partner at Berlin-based venture capital firm Project A and can be found on our Digital Transformation Forum at 11:30 am. Project A is a hands-on investor with company building services. The team of 100 operational experts in areas such as software engineering, marketing, product, design, communications, business intelligence, sales & customer success, organizational building, and talent acquisition support Project A’s portfolio companies in their growth. The Project A team has founded 45+ companies already and manages a fund of EUR 150 million raised in 2015. Investments range from EUR 500,000 to 5 million. 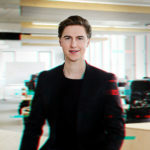 Thies oversees Project A’s investor relations and is an advisor to Project A portfolio companies such as KRY, Contorion, Spryker and uberall. PS: If you want to know more about Project A, check out their Podcast series ! 50+ investments are the impressive track record forCavalry Ventures. In 99% of the cases, Cavalry Ventures is the first investor and takes the biggest risk at an angel or seed stage. “We aim to be the first investors in your startup” stresses the team. Cavalry does not necessarily have a focusedtheme, but likes to “invest in teams that have a big vision, that want to have an impact and are either defining their own industry or are drastically changing the way business is done in a large existing market.” The first fund launched in 2016 had an investment power of 20 million as it was supported by successful founders of startups such as Book a Tiger, Delivery Hero, Plista and other experts. With Rouven Dresselhaus as Founding and Managing Partner, Cavalry Ventures has made some serious early stage investments. Like many investors, Rouven has a corporate background that helpshim to connect startups and corporates. He grew up closely connected to his family’s business, Dresselhaus GmbH & Co KG, one of the largest providers of screws and fastening parts in Europe. And yes, he personally is also a vivid angel investor! He invested privately in more than 35 startups worldwide that have created over $1.5bn in shareholder value. See how Rouven is presenting himself and Cavalry Ventures at the Reverse Pitch Session at Startup Stage on 12:30!